For nearly three decades, I have worked exclusively with ultra high net worth clients and their families, helping them address issues that most people will never have to consider. Many of these clients were new to the executive suite when we first met. As they advanced their careers, their wealth management challenges grew more complex. My team and I helped them understand the issues and address the multifaceted challenges of managing and protecting their wealth. Over the years, we have worked together to diversify concentrated stock positions, establish multigenerational wealth transfer plans, develop philanthropic strategies and much more. Our goal is help our clients create and implement investment strategies that endure through multiple market cycles, preserving wealth that continues to sustain the people, causes and institutions that enhance our clients’ lives. Today, we are a true family practice. We serve about 40 families who have entrusted us with approximately $1.3 billion in assets under our management since August 2001. We believe that family legacies take generations to build, and work with every member of the family to understand their needs and help them pursue their individual and their shared goals. I look forward to meeting you and your family to discuss how we can help you reach your goals. We believe that we can best serve our clients when our incentives are most closely aligned. So we focus our efforts on helping our clients define the structures needed to best manage their wealth, and determine appropriate asset allocations. We then draw upon the exceptional resources of both Morgan Stanley and our team to identify the best suited strategy for each component of their allocation. The vast majority of our clients have deposited 100% of their investable assets with us. We value their trust above all else and are deeply committed to acting as faithful stewards. We work hard to provide each of our clients with outstanding service, carefully considered advice and access to any and every resource they need to meet all of their financial challenges. Jim Geraghty has more than 30 years of experience working with ultra high net worth individuals, providing highly customized financial advice and investment solutions. Jim is currently a member of the Morgan Stanley Chairman’s Club, an exclusive membership for the Firms top advisors, and has been recognized as one of America’s Top Advisors by Barron’s for each of the past seven years (20108-2016). He was also recognized as one of the Top 10 Advisors in Massachusetts by the Boston Business Journal in 2008. After receiving his B.A. 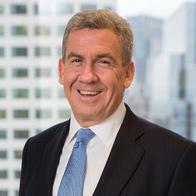 from Brown University in 1985, Jim began his financial services career with Kidder, Peabody & Company. From 1994 to 1999, Jim worked for Donaldson, Lufkin & Jenrette before joining Morgan Stanley Private Wealth Management in 2001. Jim is involved with numerous causes that benefit disadvantaged youth throughout Massachusetts and beyond. He serves as a board member and Chair of the Advisory Committee for the United Teen Equality Center, for which he was awarded the FBI Director’s Community Leadership Award in 2014. He was honored as a “White Man Who Can Jump,” receiving the 2014 Get Konnected! Director’s Community Leadership Award, given to white, male business leaders who are diversity game changers. Jim serves as the Vice Chair of the board of the Robert F. Kennedy Children’s Action Corps, Co-Chair of the Jackson Square Project and as the Philanthropic Trustee of the Boston Medical Center. He is an active supporter of the American Ireland Fund and has held a seat on the VIP Committee for the Morgan Stanley Foundation. A hockey player with great passion for the game, Jim is the founder and current board member of the Massachusetts Children’s Hockey Foundation and was an assistant coach for the Irish national hockey team. Jim lives in Westford, Massachusetts with his wife, Susan, and their four children. 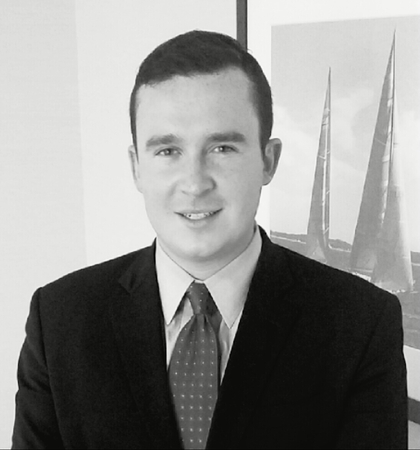 Jimmy Geraghty is committed to providing sound investment advice and personalized service to clients of the team. His background in banking and lending gives him the skillset to analyze and understand both sides of the balance sheet. Jimmy helps clients construct portfolios tailored to their specific needs and risk tolerance. Developing tax-efficient investing strategies, he provides the experience and vision to help build and, more importantly, preserve a long-lasting asset base and financial legacy. Jimmy is passionate about his philanthropic work and is deeply involved in the Irish community. He recently represented Boston at the Ireland Fund Global Leaders Conference in Kerry, Ireland. He received his B.A. in Economics from the University of Connecticut, where he was a member of the ski team. He also has a passion for music and is an accomplished singer and songwriter. Jimmy currently resides in Boston, Massachusetts. Joining the Geraghty Team in 2014, Kaitlin Taber brings over ten years of wealth management experience to the team. 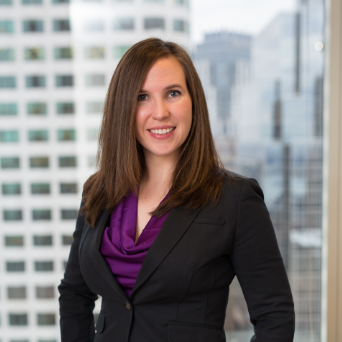 Kaitlin assists with all aspects of the client relationship, including trading, estate planning strategies, portfolio analysis, and retirement planning. Prior to joining Morgan Stanley, Kaitlin worked for Brighton Jones, LLC, and Bernstein Global Wealth Management in Seattle. She began her career in wealth management at the Atlantic Trust Company in Boston. Kaitlin is a graduate of Providence College with a B.A. degree in History. She maintains the Series 7 and 63 securities licenses. She resides in Pembroke, Massachusetts with her husband and daughter. 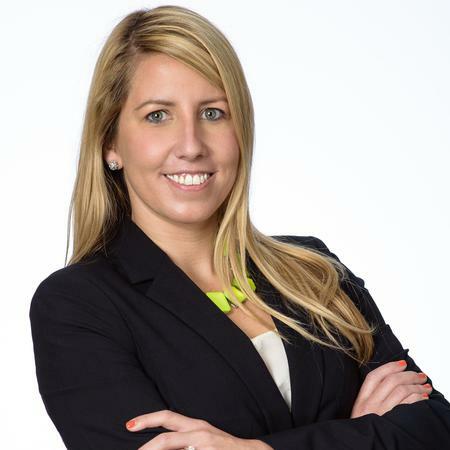 Brinley began her career in finance in 2006 and held positions at Pacific Crest Securities, Jefferies and Bain Capital before joining Morgan Stanley in 2015. Her responsibilities on the team include account onboarding, internal and external asset transfers and money movements, assisting clients with administrative and operational requests and overall account maintenance. She graduated from Union College with a major in Economics and a minor in History. Brinley resides in Charlestown with her husband, Will, and in her spare time, enjoys tackling home improvement projects, running, traveling and trying new restaurants.